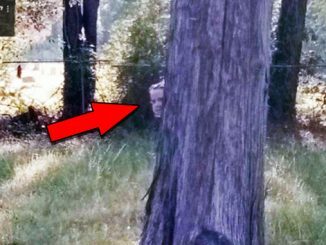 These eerie photos have the Internet in quite a stir. From a ghost caught on film in a cafeteria to a possible dinosaur sighting in Scotland, these scary photos are sure to give you the creeps. This eerie photo was sent to us by ‘Jerry’ on Instagram. While on a camping trip, Jerry said that he and his family were enjoying an afternoon by a lake . 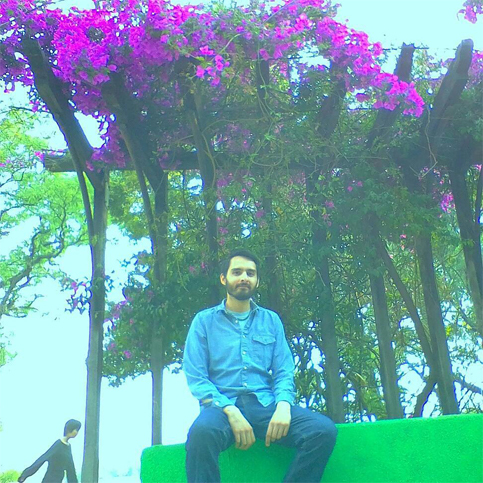 He said that his brother’s girlfriend took this photo of him and thought nothing of it. However, when they reviewed the photo moments later they were shocked to see the strange figure in the bottom left hand corner. The figure certainly has an eerie quality. The face is pale and featureless and its arms look unusually long. While its torso is thin and misshapen. Jerry was shocked by the image. He was sure that nobody else was around when the photo was taken and there certainly wasn’t anyone walking that day with a featureless face. 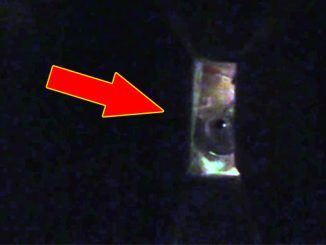 The viewer maintains that he doesn’t believe in ghosts but admits that this photos really did spook him. The image doesn’t look manipulated in anyway. However the figure does almost look like a statue, with its unusual proportions and smooth features. Could it be possible that the photographer didn’t notice the statue when the photo was taken? 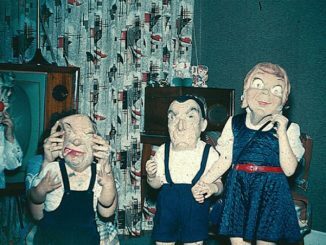 While this is a possibility, it doesn’t detract from the undeniable creepiness of the image. 6. Is Mike Pence’s Daughter a Vampire? A few years ago this photo set Twitter alight with rumours that Mike Pence’s daughter is a vampire. In 2016, Vice President Mike Pence posted an innocuous tweet about his family enjoying a quick dinner at tex-mex chain Chilis. However, it wasn’t long before twitter users noticed that Pence’s daughter didn’t seem to have a reflection in the mirror. Almost immediately, as the retweets ticked up into the thousands, people began speculating about what was actually happening in the photo. The most popular opinion was that Pence’s daughter must be a vampire or that perhaps she has no soul. Others thought she was a ghost while some were too shocked that Pence was dining at Chilis to notice the apparent paranormal happenings. More grounded viewers thought the pic was nothing but an optical illusion created by the angle of the mirror and the relative position of Mike Pence which would block his daughter’s reflection. So what do you think? Is Pence’s daughter a vampire, ghost or some other ghoul or is it all just a strange angle? A curious mum believes she’s found evidence of the Loch Ness monster. 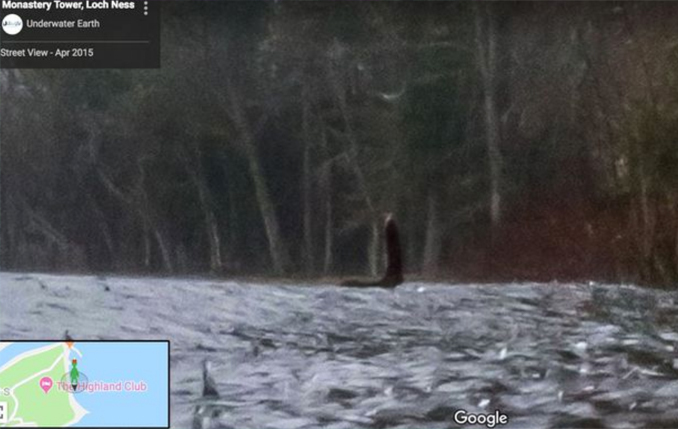 Lisa Strout from Ohio, US spotted the strange object while poring over Google Maps photos of the loch. In the photo there is a strange creature or object protruding from the water. Judging by the view the object must be at least several meters long and stands in contrast to the grey and green woodland scene in the background. According to the capture date, the photo was taken in April, 2015 near Monastery Tower, Fort Augustus, at the southern end of the loch. It would appear she has done just that. The photo is the ninth claimed sighting in 2018 and becomes part of the more than 1000 sightings that have been reported since the legend began. Could this really be a glimpse of the legendary monster that is thought to have swam in the loch for thousands of years? This eerie photo appeared on the Internet in late 2018 and people are calling it genuine evidence of a haunting. User Nessymelmel2010 said that her aunt works in a middle school cafeteria where apparently all sorts of strange things happen on a regular basis. 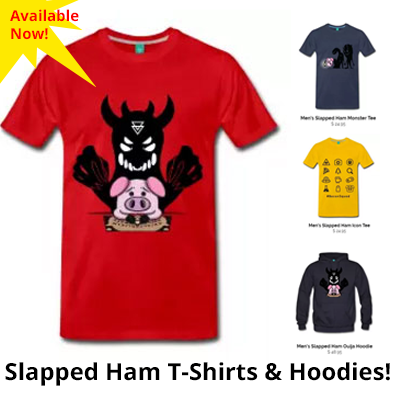 One afternoon, after having a sense of being watched, strange noises could be heard all around the kitchen – objects rattling, doors closing on their own. Finally the aunt decided to take a series of random photos to see if anything would appear on camera. And, sure enough, in one image an eerie figure was captured. The entity looks to be female with long black hair. It appears to be wearing a long white dress however it has a strange, transparent quality to it as the fridge behind can be clearly seen. When the image was shared across social media some reactions were skeptical, stating that it’s nothing more than pareidolia, the phenomenon of seeing familiar patterns in a random stimulus. However, users from the paranormal community hailed the photo as a fantastic find, one that definitely deserves more in depth analysis. 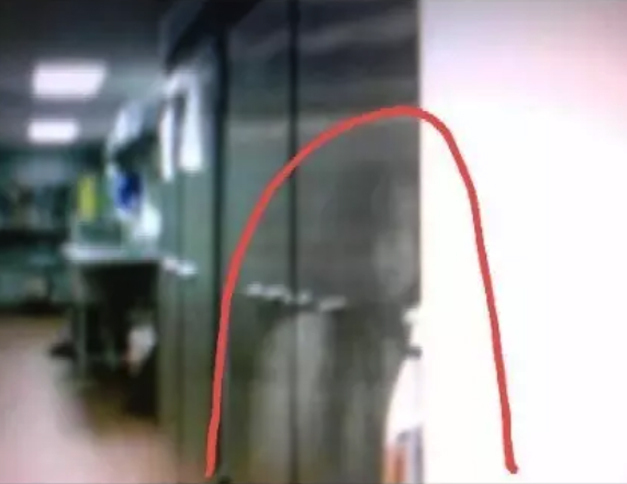 One commenter said that the image, coupled with the testimony of the witness, made for a compelling argument that this is indeed a haunted school. Love to get your opinion on this strange image. Is this school plagued by some unseen entity or is there a simpler explanation? 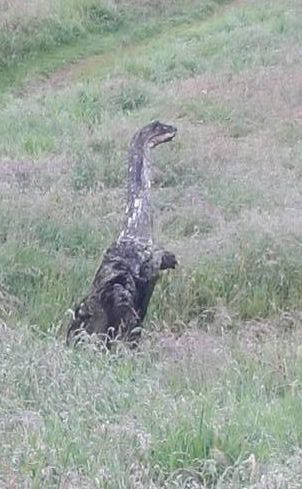 A hiker in Scotland has taken a photo of an alleged dinosaur and it’s freaking people out. Jimmy Wright snapped this bizarre photo while walking his dog in Crow Hill, Killearn, around 15 miles north of Glasgow. Wright said he saw the creature in the grass of a sloping hill. He quickly took a snap but by the time he looked again the animal had vanished. The photo appears to show some kind of dinosaur-like creature stretching out of a patch of long grass. It has a long slender neck, stubby legs and a broad body. Naturally the photo has attracted a lot of attention, garnering thousands of shares and comments as well as syndicated articles across a number of large news sites. Some viewers called the find ground breaking, suggesting that it may be some kind of unclassified dinosaur that has somehow managed to survive in the Scottish wilderness. Others however were a little more blunt, stating that the creature is nothing more than a tree stump. If it were simply a tree stump then why did Wright make claims that the beast disappeared? Either the post was intended to be a joke among friends that got out of hand or there is indeed some kind of strange monster stalking the fringes of the Scottish highlands. This chilling photobomb has been doing the social media rounds since late 2018. 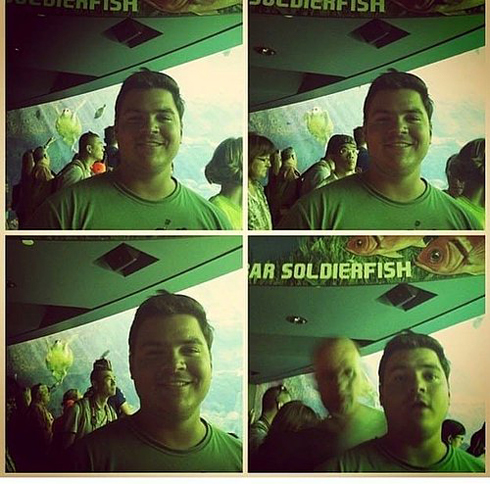 The uploader said they were at the aquarium trying to take a series of selfies. They were attempting to line the turtle up with their right shoulder for a funny photo. However by the fourth attempt, instead of the turtle, a terrifying face appeared in the picture. The figure appears to have disfigured features with an almost zombie-like quality. It has a strange blurriness to it despite the rest of the image being in focus. Naturally, as the image spread around Facebook and Twitter, people were quick to call the figure a ghost or demonic entity. Some urged the man in the photo to go see a priest to be cleansed of the dark spirit that may have attached itself. Others thought it may just be a prankster that has quickly popped up to photobomb the selfie, causing the strange motion blur. 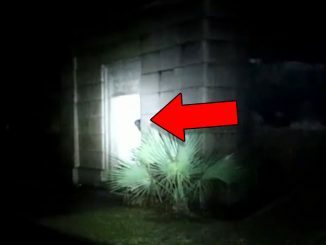 So hopefully it’s all just a hoax, otherwise this man might have been genuinely visited by a demon from another realm. Paranormal investigators claim that this photo is genuine proof of the afterlife caught on camera. Loftus Hall in county Wexford, is thought to be one of the most haunted places in Ireland. Those who visit report all sorts of ghostly encounters including orb sightings, cold spots, and run-ins with apparitions. The Hall has been featured on Ghost Hunters, Ghost Adventures, and a documentary has been made about it titled The Legend of Loftus Hall. 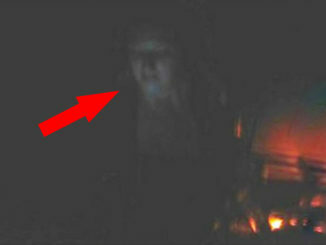 Paranormal investigators have even managed to capture photos of what appears to be the ghosts of two women. 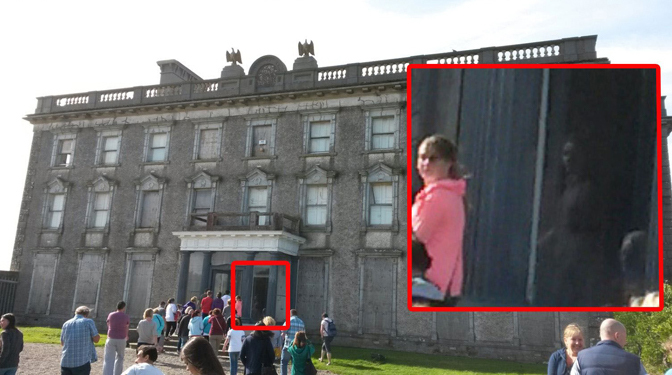 In the photo you can make out two ghostly figures standing in the dark doorway next to the woman in pink. They look grey and translucent and appear to be wearing old fashioned attire. According to legend, in the mid to late 1600s, Charles Tottenham along with his wife Jane and daughters Elizabeth and Anne received an unexpected guest one evening when a young man knocked on the door seeking shelter from a storm. The family welcomed the stranger, and they settled in for the evening of playing cards. When Anne leaned down to pick up a card that she had dropped under the table, she was shocked to see that the stranger didn’t have feet but instead had cloven hooves. When she screamed, the stranger transformed into a ball of fire and shot through the air, eventually exiting through the roof. 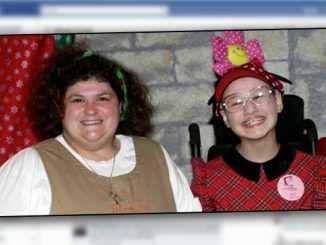 The family believed that they had let the devil into their home on that fateful evening. Anne never recovered from the shock, and she became increasingly eccentric, with her mental state rapidly worsening. 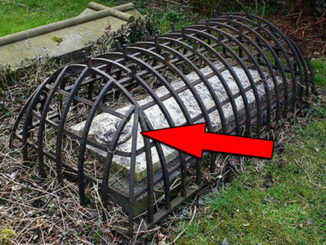 She was eventually confined to her room and she died there in 1775. Anne apparently was unable to rest in peace – the home was plagued with poltergeist activity from that point on. Eventually, Father Thomas Broaders was called in to cleanse the home of the activity plaguing it. Could one of these figures be the ghost of Anne Tottenham? Perhaps the family were indeed visited by the devil himself who condemned their souls to wander this old property forever. 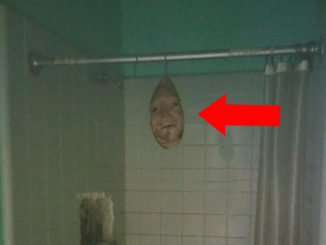 So there’s our look at some eerie photos that have been causing a stir on the Internet. 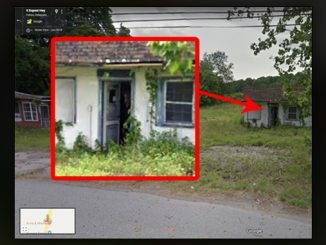 What did you think of these scary photos? Let us know on our socials or in the comments section below.